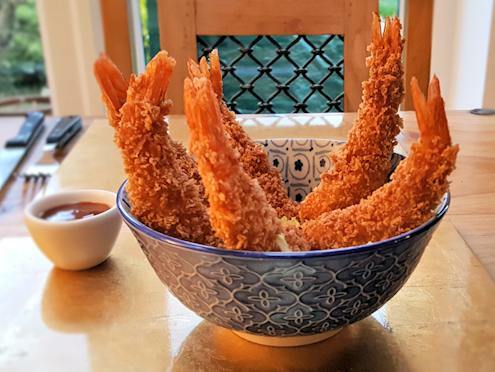 Shell-on prawns have bags more flavour than peeled, although, of course, are immeasurably messier to eat. 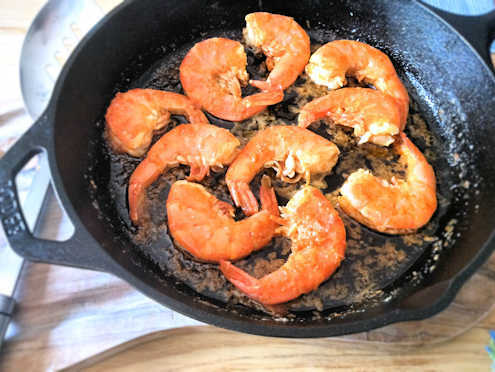 The thing that put most people off unpeeled shrimp is the nasty intestine running alongside the back, unsightly and the source of grit in cooked dish. The how-to works whether you want to peel them or just lop the head off and leave the shell on. 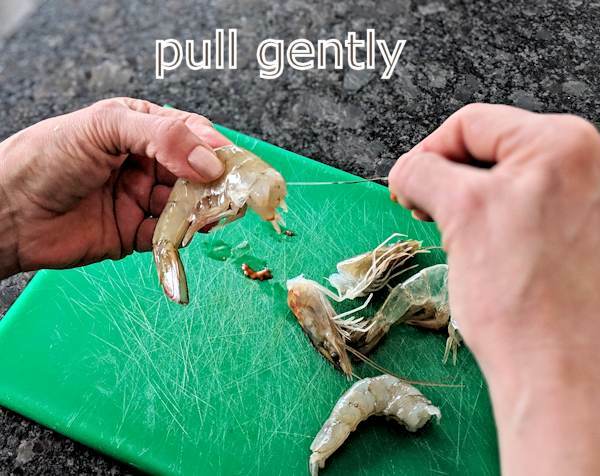 Hold the knives, skewers, tweezers or pincers - just use your fingers. Twist or cut off the head. If you want to leave the head on, make a small incision in the back behind the head to pull the vein out through, but this is fiddly. 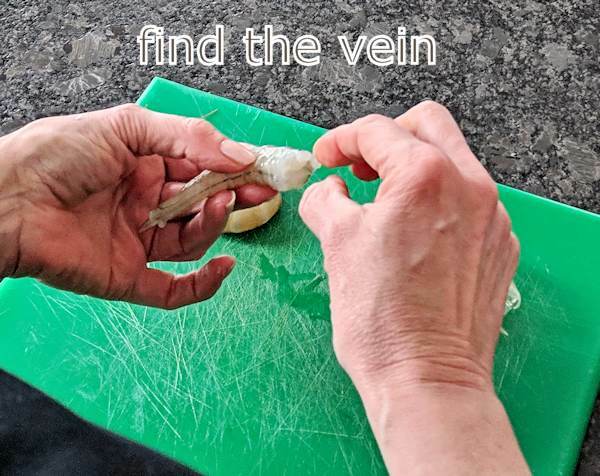 Poke around in the opening to pinch the vein between your fingers. Pull it out very gently. 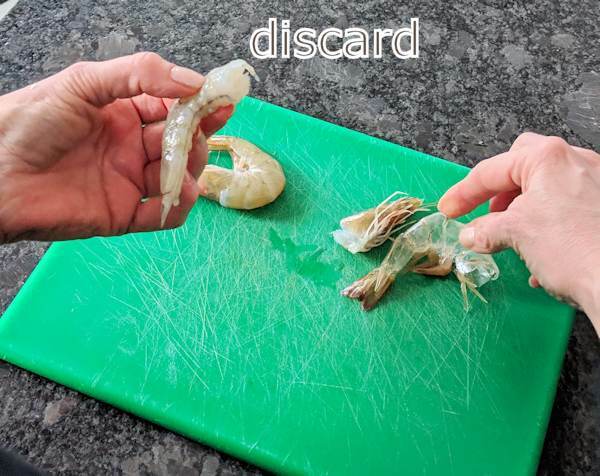 Discard. 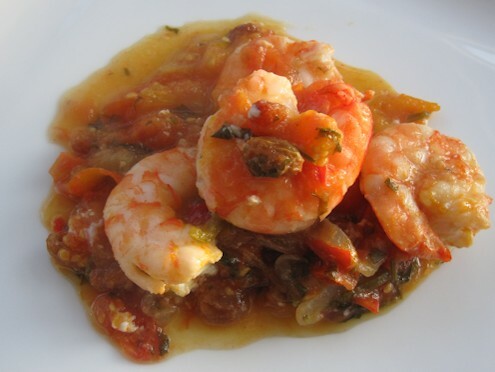 Decide whether to peel the shell off the prawn body. NB. the black line running along the belly is just the nerve, harmless. It can't be easily pulled out but needs to be scraped out if you can't stand the sight.